Moshe Barasch, an authority on art theory, tackles the complex question of how art works as language. Barasch shows how, once an art work is seen and understood, a new, communicative function is effectively added to the work. 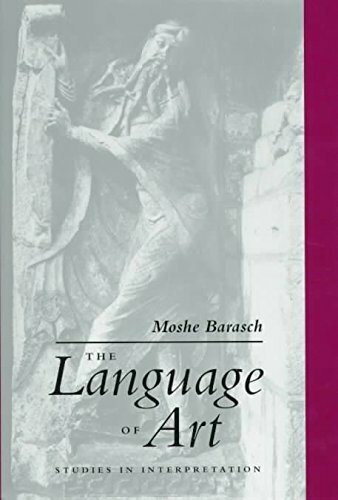 In an engaging style Barasch moves from the art and civilization of Ancient Egypt to that of modern Europe, and effortlessly shows a full and surprising range of language in art--from the magical to the impious, from the ambiguous to the didactic, from the scientific to the propagandistic. Barasch contemplates a variety of mediums including sculpture, painting, mural, statuary, woodcuts, bas-relief, even music. Over one hundred illustrations are included as an integral part of the discussion. If you have any questions about this product by Brand: NYU Press, contact us by completing and submitting the form below. If you are looking for a specif part number, please include it with your message.